It's been a busy weekend but I've managed to get a fair bit done. So far it's gone together surprisingly smoothly so fingers crossed it continues. Aluminium cut, folded & painted in wrinkle finish engine paint. Gimbal installed. I have cut the back plate but still need to fit it (just small screws) which will secure the folded edges flush with the body. I need to fit the antenna, On/off switch & throttle button. I also need to make a small hole for the Orange Rx LED. Picture with a Futaba 9C for scale. Should have it ready to test fly next weekend in the off chance the winds give us a break. Very professional job Al, I was never any good at folding ali. Well, I could fold it, but nothing ever lined up! You could do with some sort of badge to set it off, maybe printed litho? "Altronics 2" ??? Almost there..... Just got to file out the hole for the on/off switch but it's getting too late to make that kind of noise now. I decided to keep the bind button inside to avoid any chance of bumping it during flight. It's messy inside but some loom ties will tidy it up. Orange Rx module on the right, Encoder on the left. Digital voltage meter concealed inside until I get a feel for battery life. I tried to find an analogue one but no luck. Very nice, I really want to improve my presentation to your level. The PIPE from New England USA here..."back-in-the-day", the US electronics kit manufacturer HEATHKIT had a pair of radios in their lineup that looked much like yours, with photos of both two blue-cased ones posted in the footer of this reply, along with a brown-cased KNOBBY radio that looks exactly like my own first RC radio. 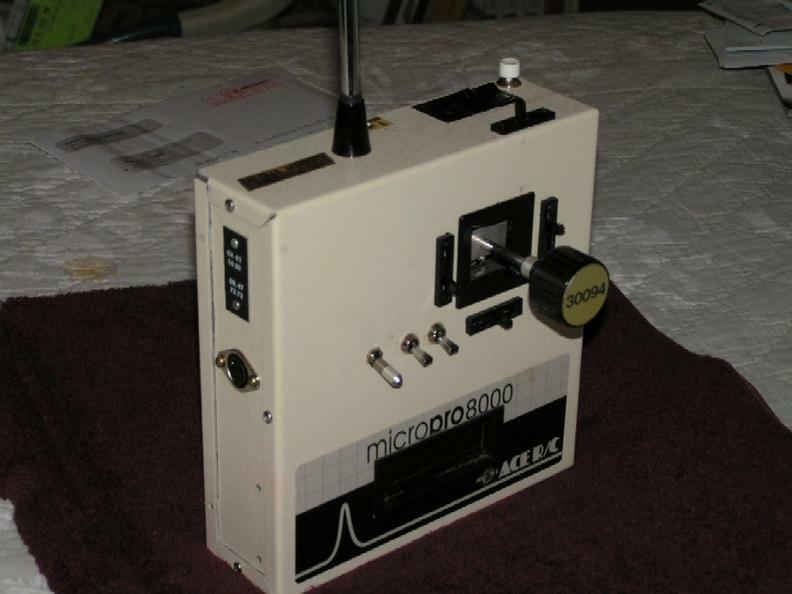 ...and back in 2003 I completed this knobby RC radio, an eight channel MICROSTAR 2000-encodered knobby box on the North American six meter "ham RC" flying band. Hope your "Repli-Heathkit" Aussie RC radio give you some nice flying enjoyment "way Down Under"... !! Cheers guys. The Pipe, they are some nice old sets you have there. I've been keeping an eye out locally for a vintage set to restore but they just don't come up around here & the thought of trying to buy something from the UK or US & shipping it over makes my head hurt. I've finished the radio with the exception of painting the back plate which I'll do this weekend & take some finished product pics. those "vintage" Heathkits are actually in an "online MUSEUM" in the USA! The PIPE Here again - none of THOSE radios in the annotated photograph are actually mine...they're actually at Ed Crotty's RC Hall of Fame here in the USA ! There is just about EVERY American RC manufacturer's vintage products featured on display at that site...from what could be as many as 100 manufacturers OR MORE over something like a half-century's worth of time. Hope you can get a good look at it...there ARE some potential sources of inspiration in the photos at Ed Crotty's online RC hardware collection, for those scratchbuilding their OWN RC radios these days! Ye olde "control knob" is still alive, here's a Flitetest video of the first ever collective pitch quad copter, the Stingray 500. The pilot and designers has what is basically a mode 2, but the yaw is a knob mounted the the pitch and roll stick. - Is it possibly to do mixing? - Is it possible to use FrSky TX modules from Hobbyking? IS yours going to be a full-blown KNOBBY radio, by any chance? ...so, might your desired "single-stick" radio planned to have a RUDDER KNOB atop the single joystick's shaft, by any chance? One potential source for "rudder knobs" SEEMS to be the three-axis closed gimbal joystick that Servo City has available...the joystick seems to have a good operational lifetime of several hundred THOUSAND operations-ratings on each of its trio of pots, so it's at least a decent place to start. Most of the guys at the Yahoo MicroPro/MICROSTAR forum that have built their own full-knobby radios started with existing vintage knobby boxes of their own, or one they got at a swap shop OR garage sale, and retrofitted much more sophisticated encoders, like Gordon Anderson's amazing MicroStar 2000 unit into them...that's up at its Mk.V version as I write this to you, and is a well proven unit, supported by its designer in Washington State, who's just retired from his day job. ...as the "MS2K" encoder (its usual abbreviation for Gordon's great achievement!) DOES have a trio of four-function mixers in its programming, all capable of being "switch equipped" to engage OR disengage them at will...and a majority of MS2K-based knobby radios are using 2.4 GHz SpredSpec band Futaba FASST (my personal pick, when I can get them! ), JR/Spektrum AND Fursky "RF power teams" (the RF deck/antenna and matching receiver) on their MS2K-based homebrew systems already, you'd be ALL SET to go with those. Actually, where I've had a Ham license since 1978 and have previously flown on 50 MHz — AND will once again, once I can get back to work, I'd be lookin' forward to what the "FPV" ("first-person view") guys have been using for their "RF power team" on the 70 cm Ham band...HobbyKing's "Open LRS" RF deck (link is for the Futaba-compatible 1 watt output version) and the matching nine channel, 70 cm band receiver that it's used with, both at affordable prices. My initial 50 MHz MS2K-based knobby radio can be viewed in post no. 35 of this thread...a twin to it needs to be made next, and then I'd be fabricating the next pair of 'em based on the newer Mk.V version of Gordon's MS2K unit, and using Futaba's TM-8 FASST module on them, as well — in time — the aforementioned HobbyKing "RF power team" for 70 cm Ham band UHF knobby radio flying. Hope this helps you out...people from all over the Earth have built Gordon's encoder (the encoder unit CAN be acquired all built and tested, too) and used it in custom RC transmitters, and if it appeals to you, the very best of luck on crafting one of your very own! Last edited by The PIPE; Jun 29, 2014 at 03:02 PM. The old (and rather rare) "pocket-sized" Becker single-stick 4-channel transmitter makes a nice conversion. 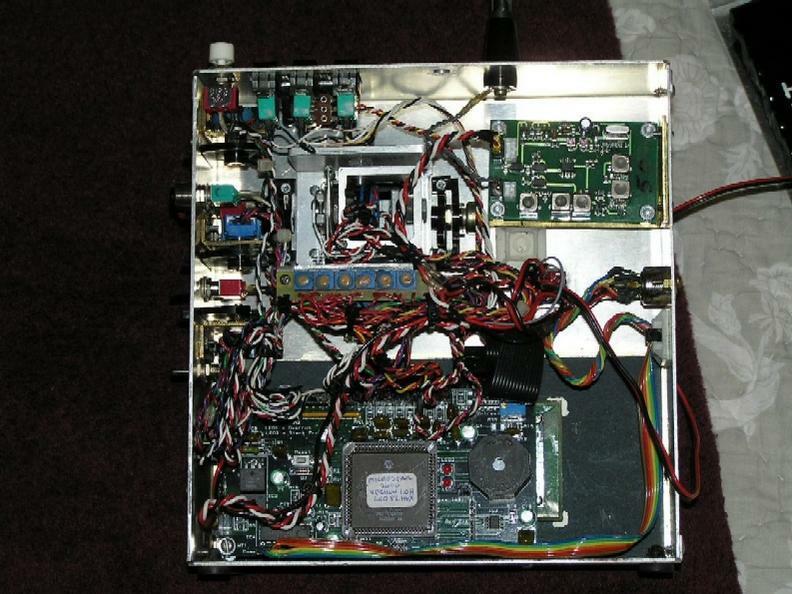 Here is mine with FrSky internal module. The Bind/Range button and LED are on the top of the left side and the antenna mount was inverted to accept the SMA connector. Inside, the crystal was removed and the RF oscillator power supply track cut. I found it necessary to glue a piece of aluminium foil over the top of the stick assembly to eliminate some jitter noise in the coder. Altogether it makes quite a nice compact unit even including an elevon/delta mixer. Last edited by JMP_blackfoot; Jun 29, 2014 at 04:53 PM. I've resurrected this zombie as I'm about to start another similar project & on review realized I never posted any pics of the finished product. I used the TX for a while & recently added a simple dual rate setup which makes it a bit more user friendly. The pics below are of it at the field set up with the 50% Capella glider (27" span) beside my old 9C & Radian. The other pic is as it is now. It currently has the Orange module removed as I needed it for something else. It'll be getting a new FrSky module shortly & start being used again. It's quite comfortable to use & met the initial requirement of being small & full range. The only thing I would change in hindsight is the black paint which heats up quickly if you leave it in the sun. Sorry I didn't respond to the final few posts. I forgot to check back in this part of the forum. Probably too late now but I'll respond anyway. This one is based on Phil Green's PIC encoder. There is no mixing but Frsky is perfect for these. As the Pipe says, the Microstar one has a lot more functions, it's larger & more involved too. This one was child's play as Phil sent me a pre programmed board so it was quick & easy for someone with my limited knowledge & skills. It also met my needs to make the TX as small as possible. Phil is now playing with Arduino hence my plans for a new project. Phil is a great guy & very helpful. His website is here. Some of the single stick radios The Pipe is referring to are simply amazing. Worth a look even if it's not your thing. JPM, The Becker looks great. What sort of vintage is it? Last edited by _AL_; Nov 16, 2014 at 07:02 AM. The Becker transmitter is of early 90's vintage. It features a switchable mixer of the aileron and elevator channels. There are rumors that FrSky (of the Taranis) might be working on a single-stick transmitter. Just stumbled across this thread, nice to know I'm not the only one recycling good old radios. My club mates think I'm a bit crazy. I have been flying my "Kraft-Assan" KP-3SS for a couple of months now. I was flying the 1/2A Lightning Bug with my KP-7C Tx, but it felt a bit heavy and clumsy for a little model, so I hacked my old 1973 KP3 Tx into use after it had been sitting on the shelf for 35 years. Still using the original Kraft logic board, an Assan DIY module, and a couple of Li-ion cells from an old laptop pack powers it up. 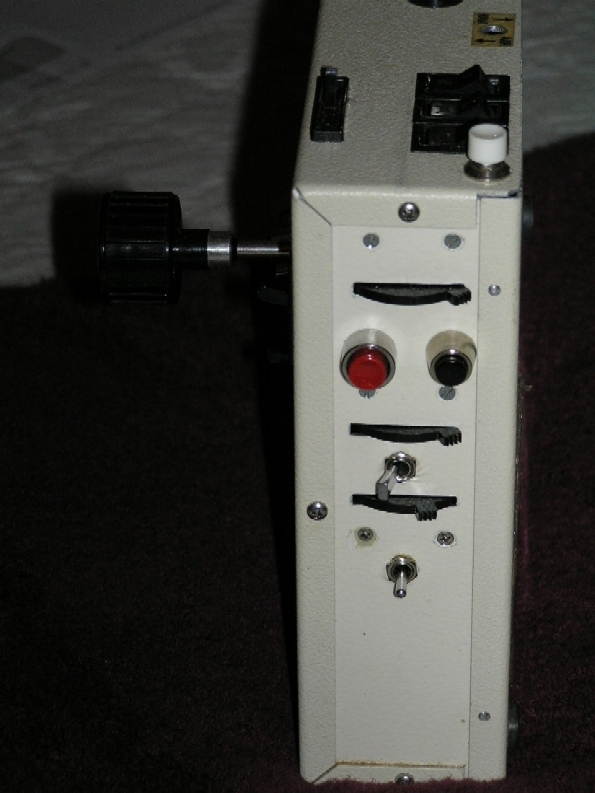 The Assan Rx is hidden a Kraft case, and the servos are original KPS-18 minis from the mid 70s'. $65 each at that time, a pair of them would cost you an average weeks wages. How things have changed.